Just saying the words 'onion weed' (nothoscordum inodorum) sends a shiver down most people's backs. This is an exceedingly difficult weed to remove - if you try to pull it up the seemingly hundreds of bulblets are disturbed, creating a zillion new plants. 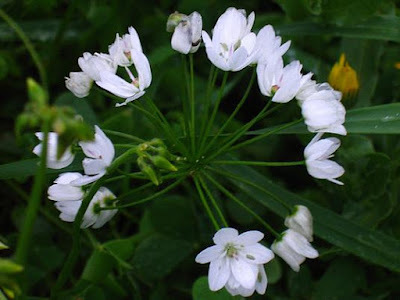 This weed flowers quite freely and these, in turn create seeds which produce new plants. It is a very resilient plant for what purpose, I really do not know. Perhaps it could be put to a constructive use as a deterrent insect spray (as with garlic spray) give it a good blending up and allowed to steep and then sprayed on insect prone plants might turn a gardener's enemy into something quite useful. Might be worth some research! The very thing that onion weed dislikes is potassium, so it stands to reason that a terrific way to rid your garden would be to give it a good dose of potassium. With what you ask? Apple cider vinegar unprocessed because you need the 'mother' in it. The mother is also called Mycoderma Aceti and is composed of a form of cellulose and acetic acid bacteria that develops on fermenting alcoholic liquids. It turns the alcohol into acetic acid. The mother is added to wine and cider to produce vinegar. Spray the onion weed with the apple cider vinegar at two weekly intervals until it is gone - usually two doses is enough to 'do' the plants in! Be mindful of other plants you might have growing near the onion weed. The flowers are quite innocent little things - who would think that they can create such a huge problem for we gardeners! 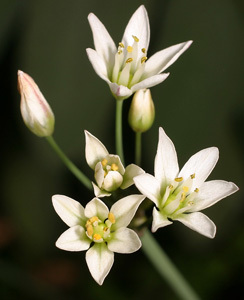 There has been an anonymous comment to this post that perhaps the images used were NOT onion weed Nothoscordum but Allium triquetrum. Some doubtful images have been removed and been replaced with what (I hope) are correct examples of Nothoscordum. At a casual glance these two plants are similar in appearance but there are some notable differences. 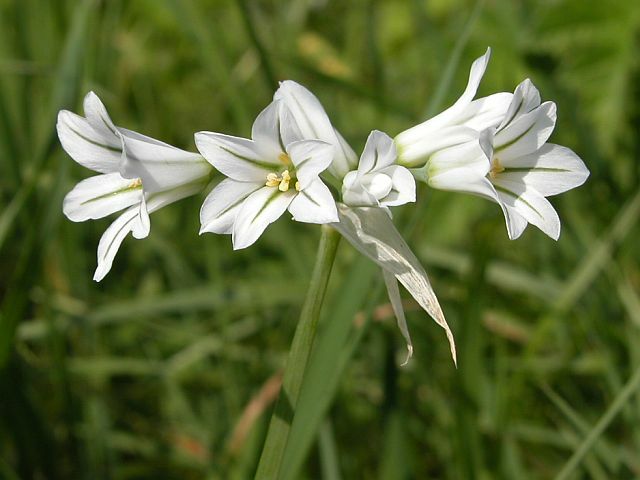 Is known as Angled Onion, Onion Weed, Three-cornered Leek, Triquetrous Garlic and Triquetrous Leek. 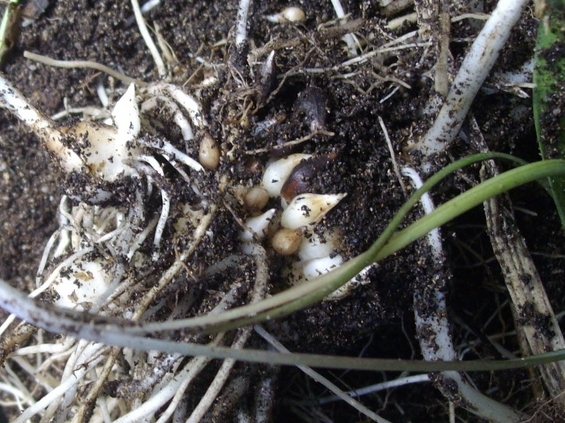 Onion like smell when crushed. Leaves all basal and strap like. Flowering stem sharply three angled, erect when in flower and collapsed by fruiting. Less than 20 flowers per umbel and not globular. Flower lobes or 'petals' have a distinct green mid vein. 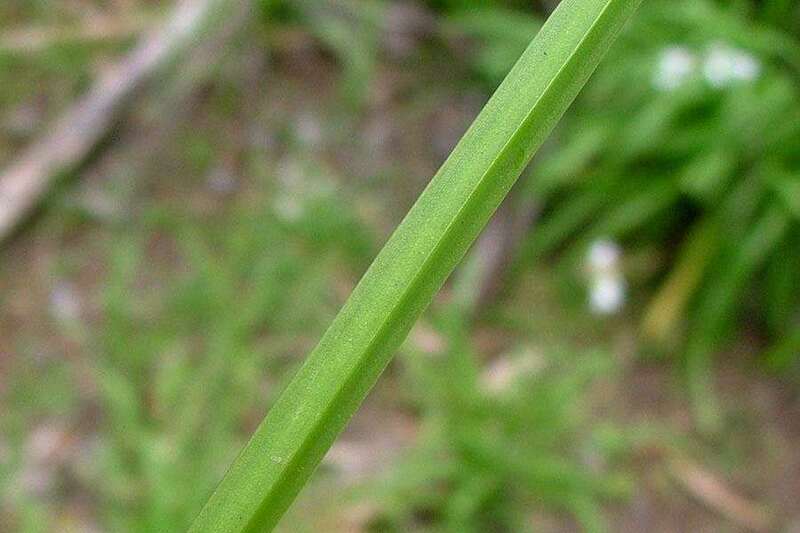 In the image left, the flowering stem is sharply three angled and triangular in cross section, which is a major difference between the two. This is a weed too and is an introduced plant found in the Western Mediterranean, Southern Europe and North Africa. Naturalised in parts of Australia by 1909. Taints milk and meat products when ingested. In domestic gardens and urban areas its smell is considered offensive. 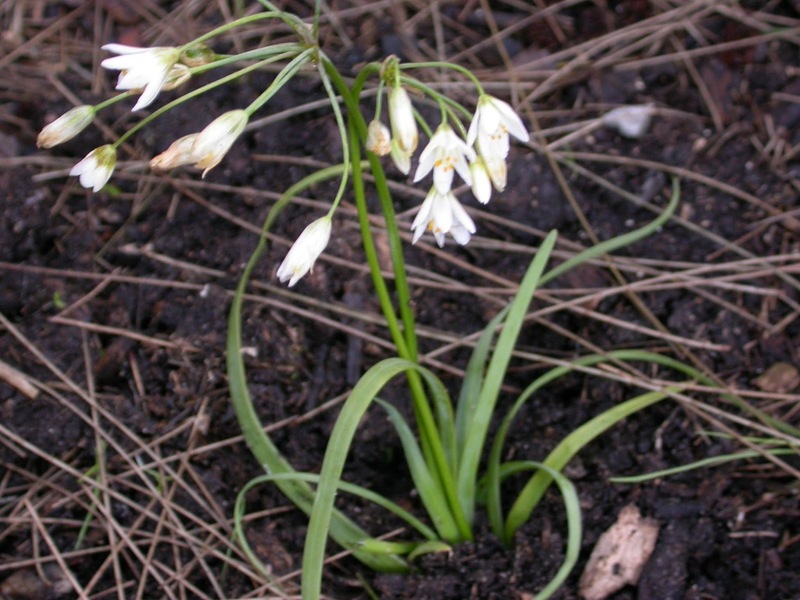 Often forms swards in moist areas and is exclusive of native vegetation. I regret the misinformation from my original post and hope you will be able to tell the difference between these two weeds. 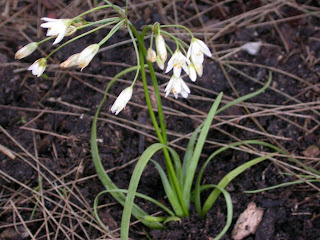 The photo looks like Allium triquetrum, not Nothoscordum inodorum which is much easier To get rid of. Have I removed the incorrect images?